Mercedes Benz has unveiled a new variant of GLC SUV. Its a 2019 Mercedes GLC L is a longer wheelbase version so far only for China. The German premium SUV is officially out and its a tough competition to Audi Q5 L. The 2019 Mercedes GLC L for China is 100mm longer than ongoing standard GLC for more leg room for rear passengers. The elongated version for China will be a little heavier than 1800 kgs with added 100mm metal. Different between Mercedes GLC L and GLC? Both the SUVs are absolutely identical except the rear doors of 2019 Mercedes GLC L. This longer doors make the longer version of SUV in a bit out of proportion. 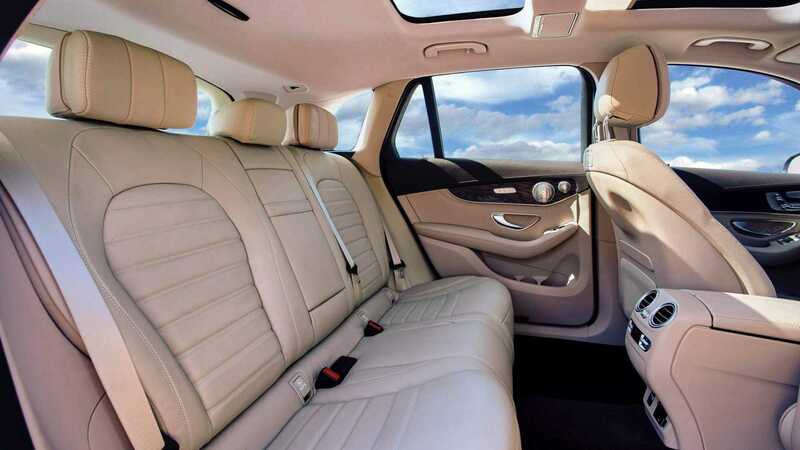 Rest everything is standard in GLC L from features and engines. 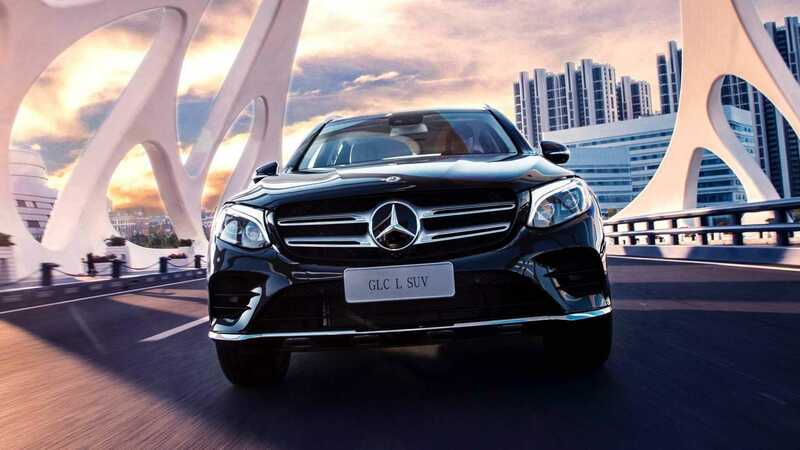 The GLC in China gets 2.0 turbo petrol engine with GLC 200L 4Matic (184PS), GLC250L 4Matic (211 PS), and GLC 300L 4Matic (245). The same 9-speed gearbox does the duty to propel the wheels. 2019 Mercedes GLC L in China will be around USD 1450 more than standard GLC. The longer wheelbase variant will be produced at China factory of Mercedes-Benz and BAIC collaboration. The SUV will be officially available to all from next month after Guangzhou International Auto Show. The GLC is positioned between GLA and GLE and it’s more like a C-Class on steroids. 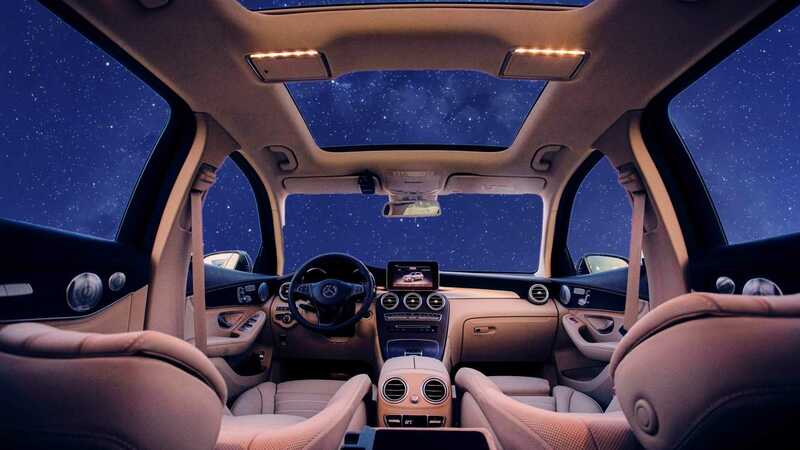 The MFA platform made possible to make this SUV as soon as the new C-Class was ready for market. Similarly, Mercedes will launch GLB SUV by completing GLA, GLB, GLC series. Considering the Indian market there is a high possibility of Mercedes will launch GLC L in India as well. The Indian market is similar to China when it comes to rear seat legroom. As most of the luxury cars are chauffeur driven, GLC L has good potential in India as well. The success of E-Class longer wheelbase in India is enough reason to consider 2019 Mercedes GLC L for India as well. Honda WR-V Reaches Dealerships Before Time!